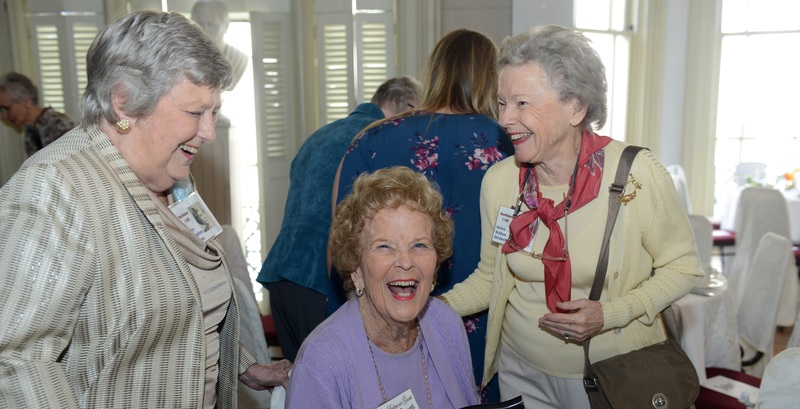 Belmont’s Office of Alumni Relations hosts a reunion for all Ward-Belmont alumnae each year—this year the celebration saw more than 50 attendees as alumnae and their families filled the Belmont Mansion for a luncheon and program. A tradition on campus for more than 10 years, this year’s program featured an address by Tamera Alexander, USA Today bestselling author and Christy Awards for Excellence winner, whose postbellum books are set at the Belmont Mansion and Nashville’s Belle Meade Plantation. Additionally, Belmont senior history major and ambassador Rebecca Green delivered the event’s invocation and a special musical performance was provided by the University’s Women’s Ensemble. During the program, the Ward Belmont alumna who traveled the farthest was recognized, as was the alumna from the earliest class. Ward-Belmont Scholarship recipient and student Kristian Hale was also in attendance. Associate Director of Alumni Relations and reunion organizer Julie Thomas said the University hosts the event each year to honor Ward-Belmont’s rich heritage. “The importance lies in preserving a part of our history and the value that these women—their accomplishments and life stories—bring to us today,” Thomas said.